Sunrise Holidays Resort is an adults-only all-inclusive resort right opposite a spectacular private sandy beach. 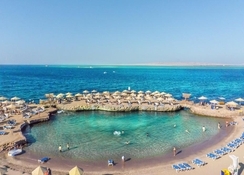 This is where the cool waters of the Red Sea and warm Egyptian hospitality combine to create a relaxing vacation experience that offers excellent value for money. Boasting of a private beach, sparking swimming pools, a wellness centre and children's activities - something for everyone, this hotel promises a comfortable stay in privacy to guests aged 15+. 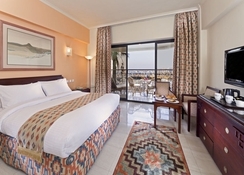 The plush air-conditioned guestrooms come with satellite TV, a minibar, en-suite bathroom with a bath and a private balcony or terrace with magnificent sea or pool views. 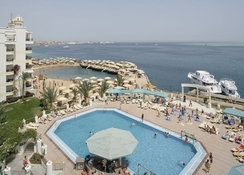 Sunrise Holidays Resort Hurghada is located 6.6km from the Hurghada Centre on a quiet area of Sheraton Road. 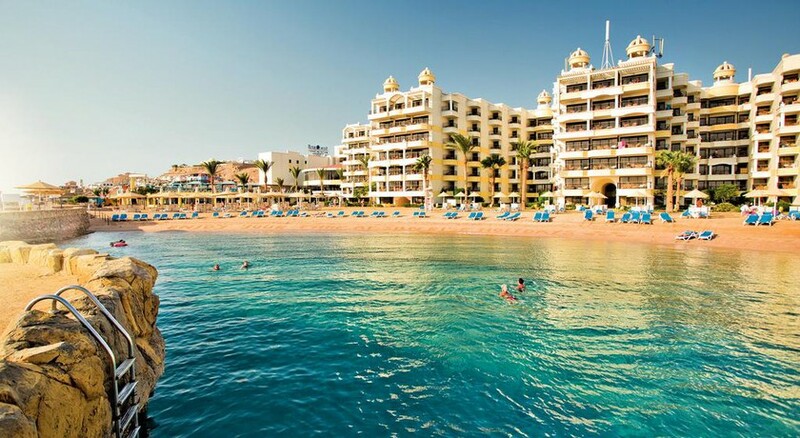 Just 9km (12 minutes’ drive) to Hurghada International Airport, the resort is equi-distant from the fine Red Sea beach as well as the exciting nightlife of Hurghada. Sunrise Holidays Resort has as many as 530 standard, mega, superior and deluxe rooms to suit varying space and taste requirements of guests. The immaculate, tastefully furnished guestrooms, featuring spectacular sea or pool views from the private terrace or balcony, come with king size bed or twin beds, en-suite bathroom with shower/bathtub, a seating area with chairs and table, a dressing table and wardrobe. Larger rooms add more space and amenities. The hotel has a clutch of fine restaurants, bars and a café to cater to guests. Nasaya Restaurant & Lounge serves beverages during the day and Egyptian and international dinner at night, El Sol International Restaurant serves delicious cuisines from around the world for all major meals, traditional and authentic Arabian cuisine is served at Arabian Nights. For fresh brews and cocktails, there is the Nasaya Beach Bar, Mr Sam Bar and Café de Jour. Sunrise Holidays Resort has a swimming pool and kids’ pool and terrace besides access to the private beach. There is Yoga classes and a fully equipped gym for those who wish to stay active. There is a lovely spa with steam room offering massages and therapies. The hotel has facilities for darts, table tennis, squash and billiards. The hotel’s on-site water sports centre offers diving, windsurfing and sailing. Guests can also shop at the shops on-site. There is lively evening entertainment and a nightclub too. Wi-Fi is available in public areas free of charge. excellent great staff good team will return.